I was going through a set of photos and happened upon this image. When I meet people and the topic of discussion turns to work, people always say, 'oh you must have so much fun' in regards to both my photography and my day job. Yes, I have fun, and yes, I also get frustrated beyond belief just like everyone else. The gentleman in the photo, it would seem, also has one of those jobs that elicits "work envy" from people. The photo was taken at the Newport Folk Festival this past summer. 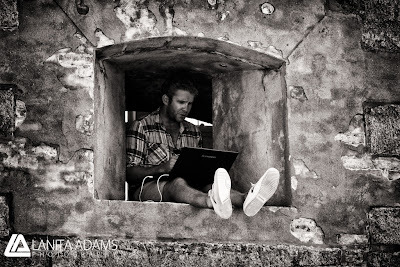 Perching yourself in the window of a fort, during a music festival, scenically located by the ocean, is a nice way to work! One of the things I love about music related work is, you get to hear some cool music. 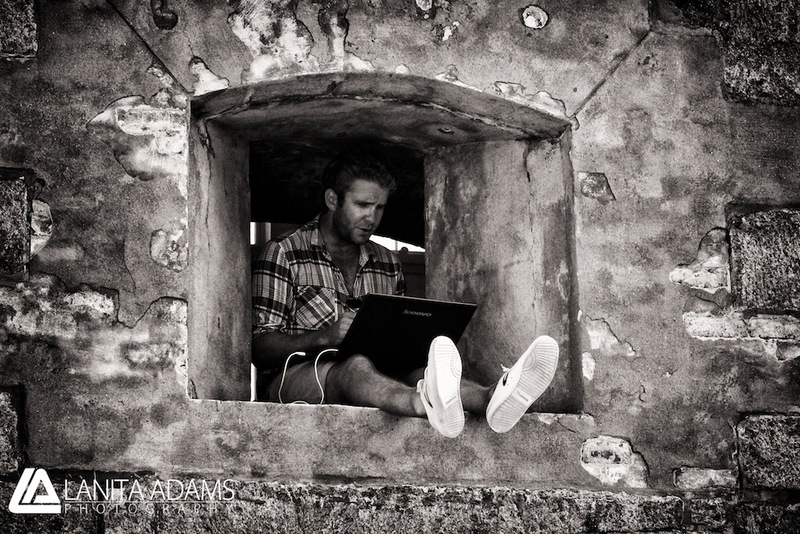 Yeah, you've got to work while listening but, there are worse things ... this guy probably agrees!